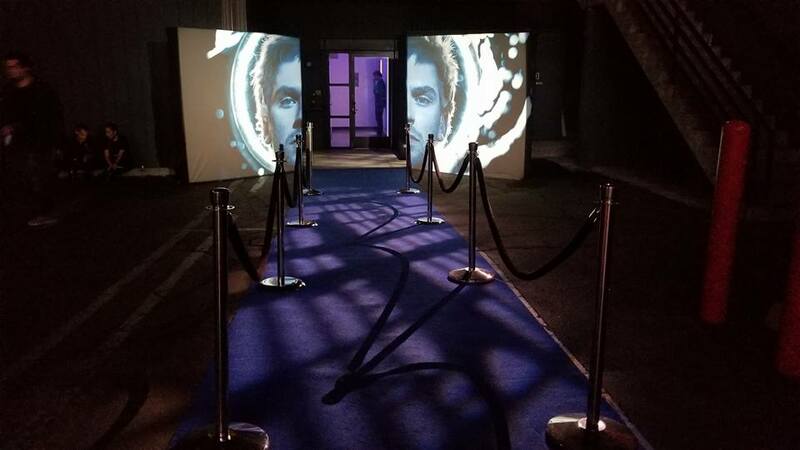 The LegionFX Chamber is now open in Los Angeles this weekend only! The second season of Legion is upon us as it premieres this coming Tuesday on FX! To celebrate the release of the season, FX and Marvel Studios have opened up an experience for fans in the Los Angeles area can experience – FOR FREE. Located at Goya Studios in Hollywood, the Legion Chamber is an art installation that allows fans to step inside a cube and be immersed in a psychedelic presentation, produced by Marco Brambilla Studio. The images shown felt like something from David Haller’s (Dan Stevens) mind and did show some scenes from this coming season. The 360-degree screens and the images showcased felt like a trip in an elevator. Not only was there the interactive art piece but, also, visuals from the show were on display as well as lighting for the most Instagrammable photos. Come check out the #LegionFX experience this weekend – Friday, March 30th through Sunday, April 1st. Make your reservation today here. Goya Studios is located at 1541 N Cahuenga Blvd, Los Angeles, CA 90028. If you take photos of your time there and post on your social media, don’t forget to use the hashtag: #LegionFX. Legion returns on Tuesday, April 3rd on FX. With David and Oliver missing and Farouk on the loose, the team forms an unlikely alliance with their former enemy ‘Clark’ (Hamish Linklater) and his well-funded government organization, Division III. Meanwhile, Amahl Farouk (Navid Negahban) is on a new path to attaining infinite and world-ending power.